In any given week it seems there are many different kinds of events happening in Richmond and Wayne County. Sports games, lectures, art shows, educational events, government meetings, not-for-profit community meetings, outdoor adventures, book clubs, theatrical performances, events for kids and families, neighborhood meetings, block parties, live music, festivals, fairs, fundraisers, bingo, club events, sales and specials at local businesses, worship services, and much more. There is a lot going on here, and that’s something to celebrate! The challenge is that someone casually looking for “something to do” might have to search several different places before finding an option that appeals to them, and to get complete information about all of the events going on. If they don’t look in the right place, they might miss out. Doing a thorough search of all the local calendars could take hours, and each one has strengths and gaps in the info they provide. For example, the Pal-Item events calendar has a lot in it and is the main source of info if you search online for “richmond indiana events,” but because they highlight regional items at the same level as local items, the “Popular Events” listings all take place outside of Wayne County. The WayNet calendar tends to be frequently updated, but only allows non-commercial events to be posted. The City of Richmond’s “things to do” calendar mainly features city government meetings. On some of these sites it can be very difficult to share the event details with friends and family, even just to generate an email with a link, let alone to re-share it on social media with all the needed details. And as you search through calendars hosted by our various not-for-profits, colleges/universities and other entities in Richmond and the surrounding cities, the trend continues. Facebook has come to the rescue at some level. People who use it regularly can find out about events that neighbors, friends and acquaintances are organizing or attending and jump on board. Even if an organization has little or no web presence with an updated calendar, they can get people to an event by promoting it on Facebook and other social media. If an organization has the money, they can advertise on a billboard, in the newspaper or on local radio. If they’re a non-profit, they can probably get a brief “public service announcement” out there for free. But all of this seems very haphazard and unreliable to me. Depending on Facebook’s news feed algorithm (not to mention that people use Facebook for local news/events at all), or on the hope that the right people will be listening to the radio or reading the paper at just the right time to develop awareness of an event seems really risky and inefficient. 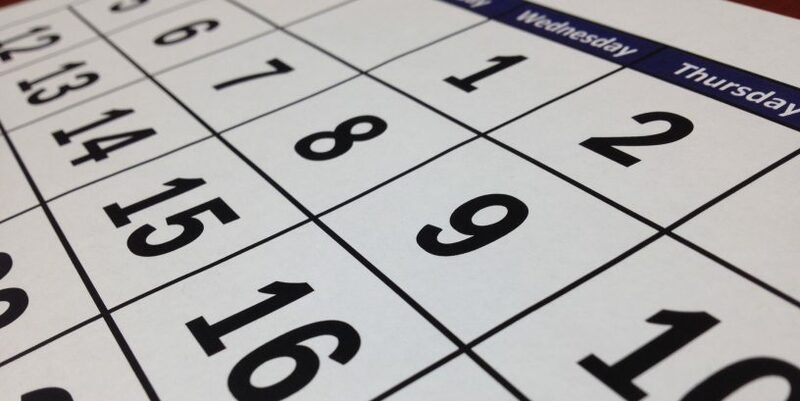 Our community’s calendars of events are fragmented across too many sources, and are too inconsistently maintained to be useful to the audiences that need them most. This calendar fragmentation is especially true and important to note in the context of economic development and tourism. If Jane and Jill from Dayton decide they want to take a drive over to Richmond on some beautiful Saturday afternoon, and they’re wondering what there might be to do, we can’t very well ask them to spend several hours perusing different websites, radio stations and print publications to figure it out. They shouldn’t have to be our Facebook friends to get the scoop on the best events to attend. Likewise, if a large employer were researching Richmond to understand what future employee quality of life would be, we don’t know if they’ll end up looking at a calendar that shows a lot of relevant stuff going on, or something that’s out of date and unhelpful. I don’t think there’s a simple one. Some cities have settled on a mostly centralized calendar of events that comes up prominently when you search online for events in that area. They may be run by the local newspaper, the local tourism bureau, the city government, or someone else. There are usually lots of layers in the calendar so you can easily filter out the farmer’s markets from the high school sports meets. The centralization may have come about through planning or evolution, smoothly or with lots of controversy. But everyone who lives there knows to check that one source when they want to find out what’s going on in the area, and it works. Could that type of system work in Richmond? It would require a bunch of organizations that currently do their own thing in the calendar space to start collaborating and reducing duplication of effort (even if it means reducing the income they might receive from calendar activity). It would probably require an investment in more robust, flexible, configurable online calendaring software tools. It would require educating the many local organizations who have a stake in getting visibility for their events to use a central tool. It would require coming up with some standards for curation and layering so the right events are shown to the right people. And it would require dedicated time and staff resources for ongoing maintenance. That’s a long list of of hurdles to success, but it could probably be done. In the shorter-term, I think we could reduce the amount of copy-pasting we do for local event information: We can ask organizations who currently publish calendars of events to make the information available in some standard format that can be (perhaps automatically) syndicated across calendar sources. Imagine that the Wayne County Convention & Tourism Bureau (for example) is publishing a carefully curated list of upcoming community events, and that information can then be shared in a way that the City of Richmond, WayNet, IU East, Earlham, Richmond Community Schools, the Pal-Item, the local radio stations and any other organization or individual that wants to can import that list of events into their own calendar tools (and share their own lists in return). Maybe that’s through ICS files (maybe the best option), CSV files, Excel spreadsheets, RSS feeds, or whatever format is commonly acceptable. There’d still be some coordinating to do and some geeky details to work out, but not as much work as coming up with a single centralized tool. If we can get that far, then we can start talking about possibilities for a city-wide mobile app, smart personalized notifications (“because you’re interested in beer and brewing, you should check out this event just announced for next weekend”), integration with smart home tools (“Alexa, what’s something fun to do with the kids today?”), and all of the other cool stuff that having consistent, normalized, well-maintained data makes possible. The value to tourism and economic development would be clear, but it would also just be helpful to the people already living here who want something to do. That’s my take on how calendar fragmentation might be unnecessarily holding our community back. If you’re involved in maintaining or promoting a calendar in our area, I hope you’ll comment below with your own thoughts about the challenges and opportunities you see here. You make some great points and an upgraded calendaring system is something WayNet has been looking at for quite some time. We have yet to find software that is “perfect” – or at least worth the investment – both monetarily and in the time local organizations and end users need to get used to a new service. Would you be able to suggest a few outstanding examples so that we could take a look at what other communities have been able to accomplish, see what software they are using and evaluate whether it would be a good fit for our community?